Surprise! Copiers are expensive. Wait, maybe that is not so surprising. Despite the price, however, we still find them in almost every type of office setting imaginable because they are a necessary evil for keeping the office running smoothly. Before you sink a princely sum into a copier, we recommend you take some time to educate yourself. The worst aspects related to buying technology is that most employers run into it blindly without background information. That is how you get ripped off. When looking at a copier, ask lots of questions. For example, what kind of features will your business need? Print and scan features are pretty standard, but there are other features that will just add to the price tag. 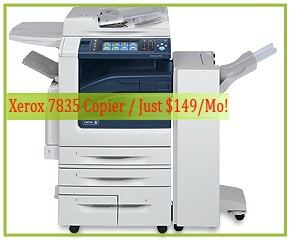 If you bypass the unnecessary features, you can normally purchase a copier for a lower price. Always exercise caution when you see a lower priced copier. A lot of business owners see the low price and jump on it like a live hand grenade. Some copiers are cheaper, but you want to understand the reasons first. If it is an inkjet printer, for example, you will start with a low initial price, but you will pay more in inkjet cartridges than what it is worth. Laser copiers are often the way to go if you are a business because of the lower cost per print.